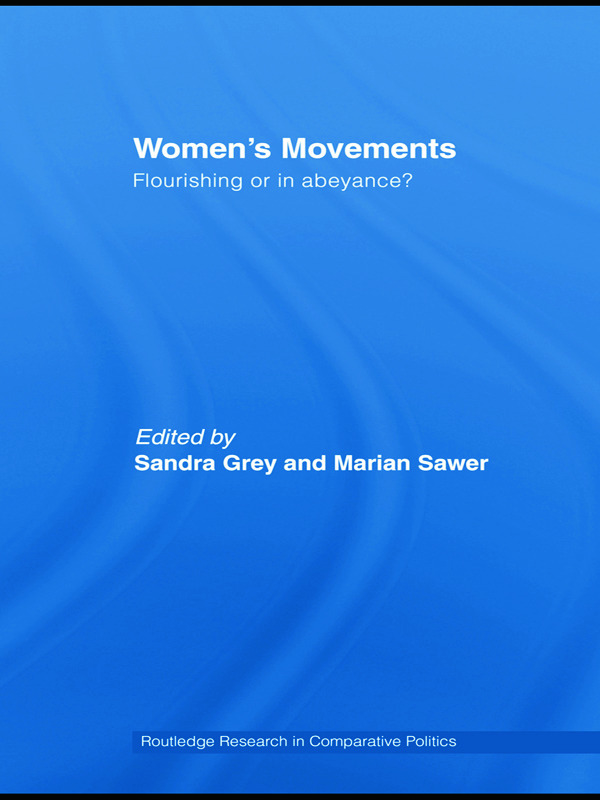 Written by leading women's movement scholars, this book is the first to systematically apply the idea of social movement abeyance to differing national and international contexts. Its starting point is the idea that the women's movement is over, an idea promoted in the media and encouraged by scholarship that regards disruptive action as a defining element of social movements. It goes on to compare the trajectories over the past 40 years of women's movements in Australia, Canada, Japan, Korea, New Zealand, the United Kingdom and the United States. Finally, it looks at the extension of feminist activism into supranational and subnational institutions—the global and the local—and into cyberspace. Comparing these diverse sites of political and social action illuminates some of the major opportunities and constraints that have impacted upon women’s movements. It advances our understanding of the lifecycles of social movements by examining the differing ways in which women's movements operate and sustain themselves over time and space, ways that often differ from those of male-led movements. The book also engages with the question of whether there is an on-going women's movement—with sufficient continuity to warrant description as such—by presenting the voices of young activists East and West. Filling an important gap in social movement research, this book will be of interest to sociologists, political scientists and gender studies scholars and researchers. Gender specialists and global governance: New forms of women’s movement mobilisation? Campaigns for candidate gender quotas: A new global women’s movement? Women in cities: New spaces for the women’s movement?